This coming Saturday, the youth of Aida Refugee Camp, near Bethlehem in the Occupied West Bank, will give a presentation with photographs on the work of the Lajee Centre, a pioneering community-based organisation helping Palestinian refugee youth maintain their culture and heritage at the front line of the struggle for freedom and justice, and on their personal experiences of living in a refugee camp. This will be followed by a talk on political prisoners and hunger strikes by Salah Ajarma and Mohammed Alazraq, both of whom have been imprisoned by Israel for two years. Dundee University Action Palestine is deeply privileged to host such distinguished speakers. Salah Ajarma is a Palestinian refugee originally from the village of Ajur. He lives in Aida Refugee Camp. Salah spent more than two years as a political prisoner in Israeli jails, first being imprisoned at the age of 14. He is currently the Director of Lajee Centre. 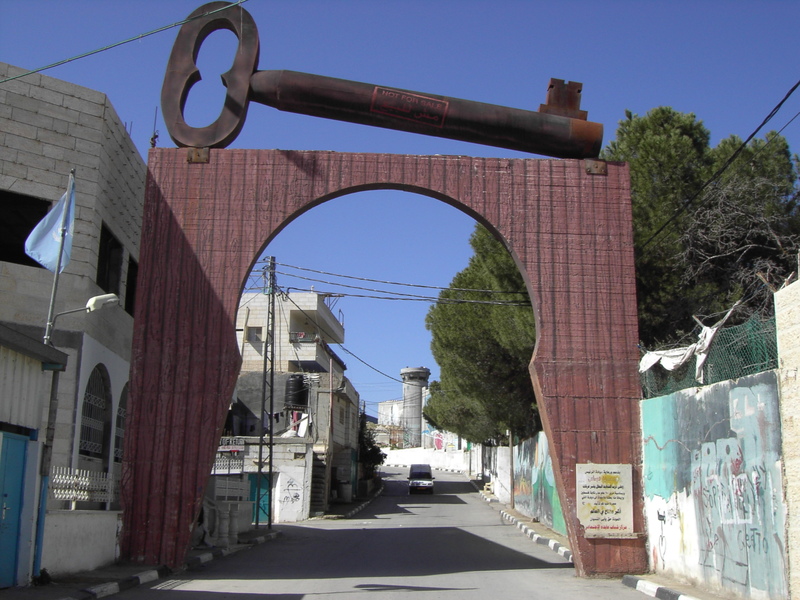 Salah worked as the Co-ordinator of the Palestinian Prisoners’ Association in the West Bank between 1996 and 1998, and has done periodic voluntary work with them since. Salah is married with two beautiful daughters. Mohammed Alazraq is a Palestinian refugee originally from the village of al-Qabu, he is also a resident of Aida Camp. During the Second Intifada, Mohammed spent two years as a political prisoner in Israeli jails, spending time in both Ofer and al-Naqab prisons alongside many of his friends and comrades from the camp. He is currently the Activities Co-ordinator at Lajee Centre. This entry was posted in Dundee, Events, Meeting, Prisoners, Uncategorized and tagged Lajee, Meeting, Palestine, Prisoners. Bookmark the permalink.